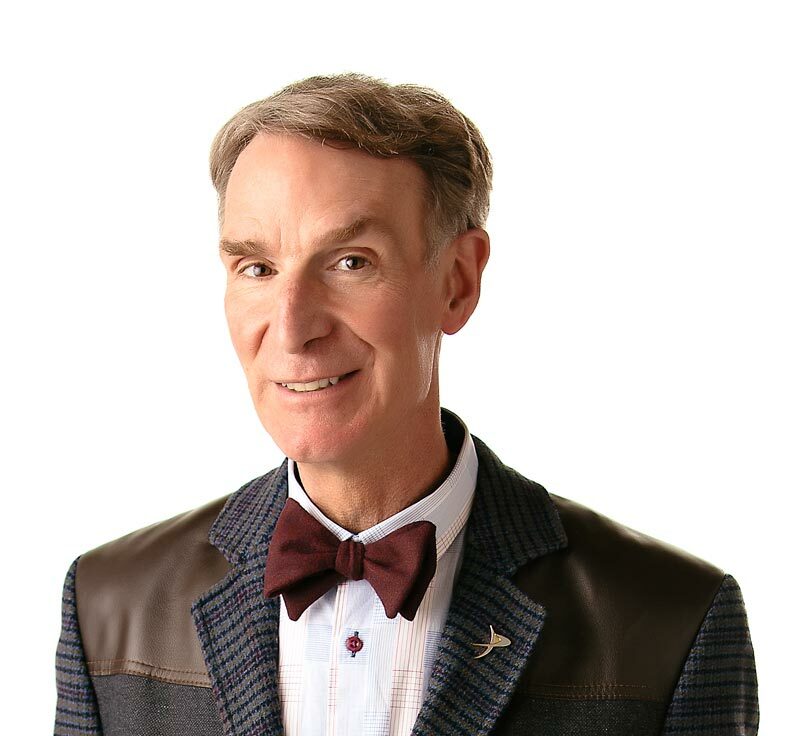 It’s time for Bill Nye to shed a little light on electricity. Electricity might seem mysterious, but once you understand the science the light goes on (so to speak). You flip a switch, and the lights turn on. You push the play button, and your personal stereo starts playing music. When you flip the switch or push play, you start a flow of electrons. Electricity is the flow of electrons, and electrons are very tiny charged particles. Electrons are found in atoms, the tiny pieces that all stuff is made from. We can make electrons flow in two ways. Batteries make electricity by mixing up chemicals — making a chemical reaction that forces electrons to move in a path from the battery to the personal stereo and back to the battery. Electricity that turns on lights in your home is made by power plants. Most power plants use big machines called generators to make electrons by twirling wire in a magnet. The magnet makes electrons in the wire move around, creating electricity. Electrons really know how to go with the flow. Electricity sure gets Bill charged up, so be sure to watch the show! Electrons are pushed by chemical reactions or generators. For electricity to do work, it has to flow in a closed path, or circuit. Electric eels use special organs in their bodies to make electricity? Electricity moves 0.3 meters (1 foot) every nanosecond (one billionth of a second)? Solar cells change light energy into electricity? “Understanding Electricity” by Gary Gibson. Published by Copper Beech Books, 1995. “Make It Work! : Electricity” by Wendy Baker and Andrew Haslam. Published by Aladdin Books, 1993.